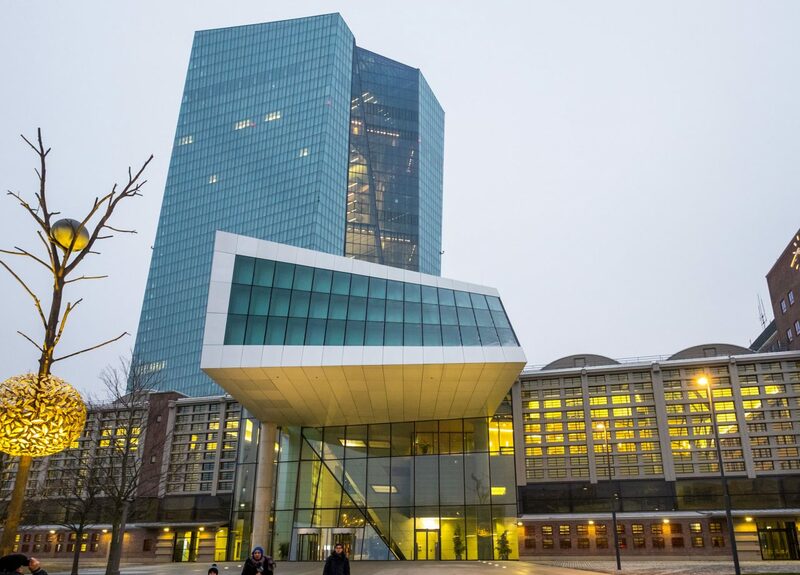 The European Central Bank (ECB) built its new headquarters on the site of a listed building, the former Großmarkthalle wholesale market hall in Frankfurt’s Ostend district. 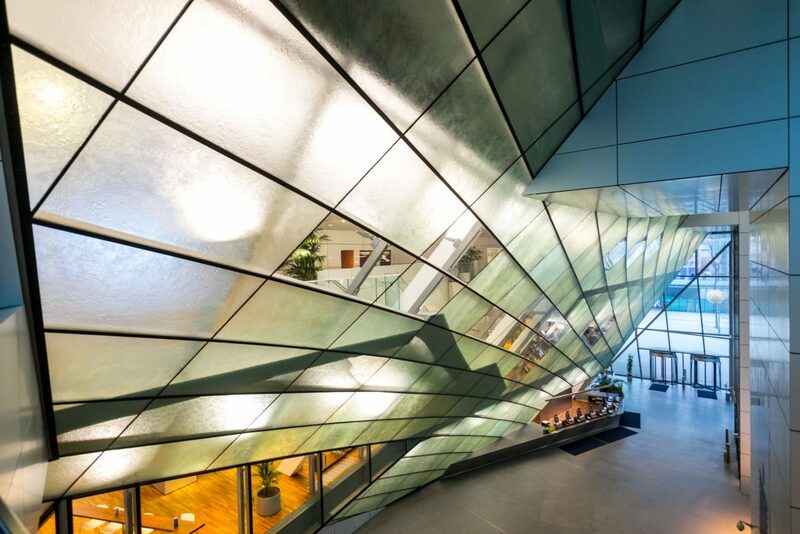 The new building was designed by the Viennese architectural firm COOP HIMMELB(L)AU and comprises three main elements: the former Großmarkthalle with new building structures in the interior, the entrance building and twin office towers. The entrance building forms a visual and functional link with the Großmarkthalle, marks the main north entrance at the same time and accommodates the press conference center. 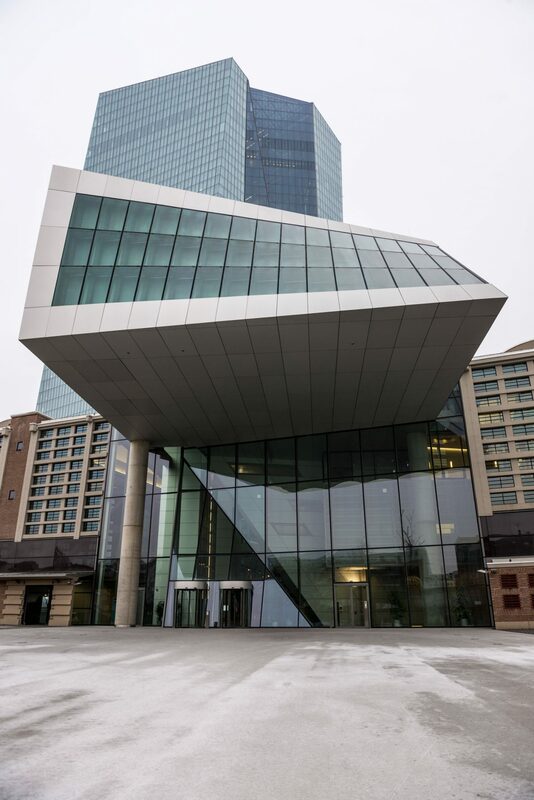 The former market hall was preserved in terms of its basic appearance and accommodates the most public functions of the ECB, including a lobby, visitor center, conference area, library and staff restaurant, among others. 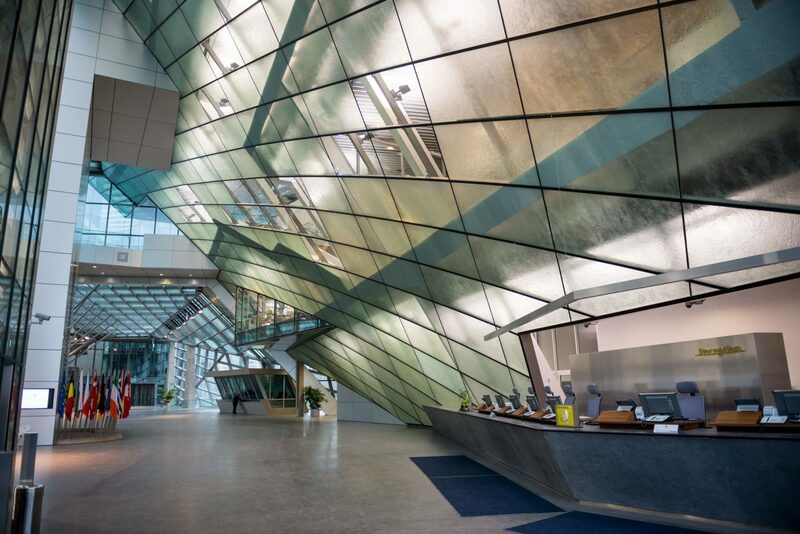 The striking northern facade of the new entrance building is a hyperbolic shape configured as a double-skin steel and glass post and beam facade. The facade has an inclination of approximately 45° from the vertical. 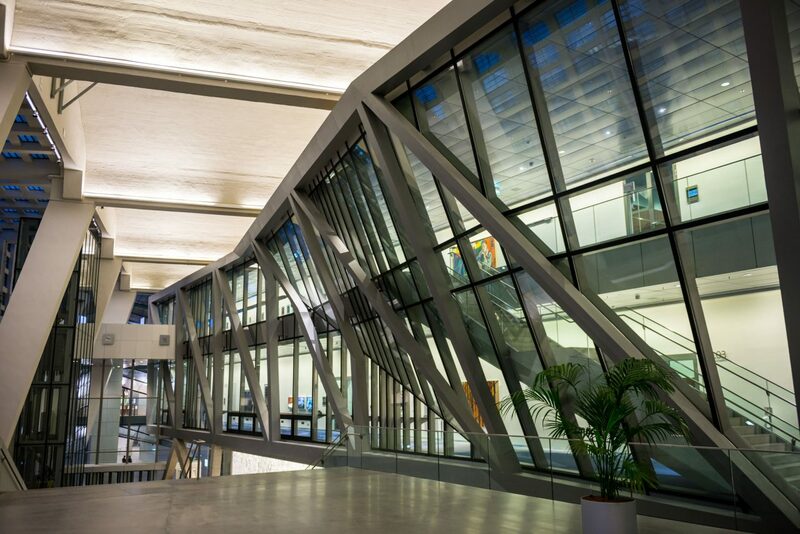 The insulation glazing consists of three-dimensionally curved surfaces and is explosion-resistant. Approximately three feet behind this glazing, there is another facade running in the same direction. Anti-glare sun blinds are installed in the facade cavity. 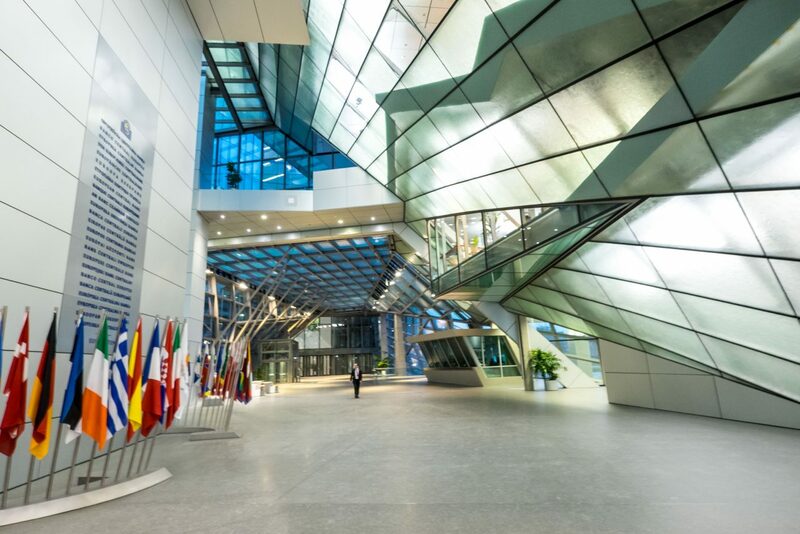 The impressive internal facade behind the reception in the new entrance area of the ECB extends over several floors and is configured as a hyperboloid structure with curved steel beams. It appears to span the entrance area. 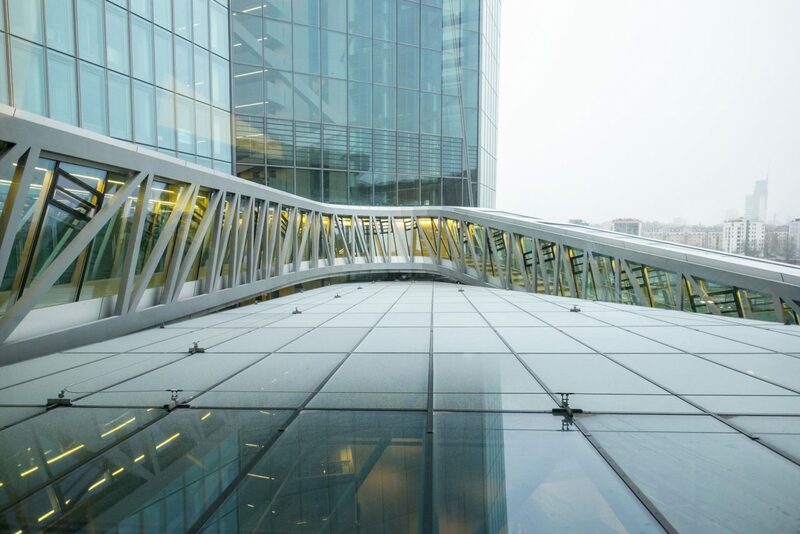 The cold bent structured glazing (fusion glass) has point retainers and it is possible to see the building levels gleaming behind it. The connecting building links the Großmarkthalle and office tower. The building design is a spacious steel hall construction with angled facades. 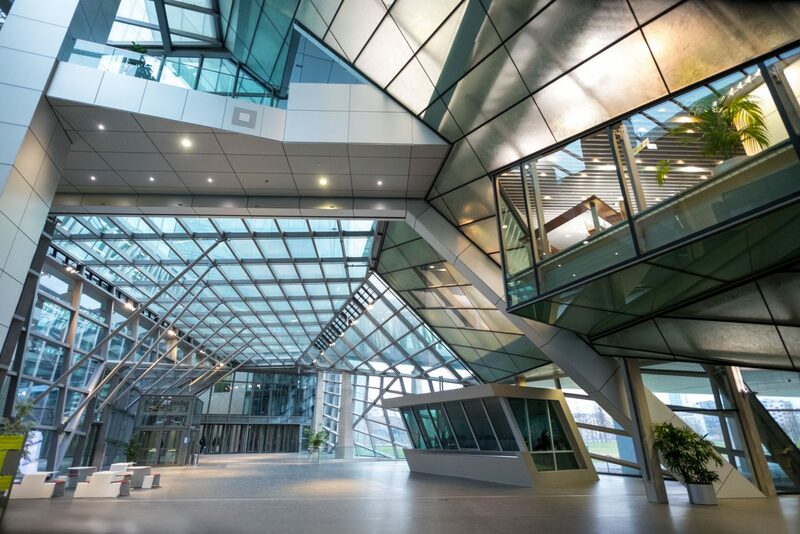 The insulating glass panels of the facade are neutral-colored and allow for solar protection and thermal insulation. 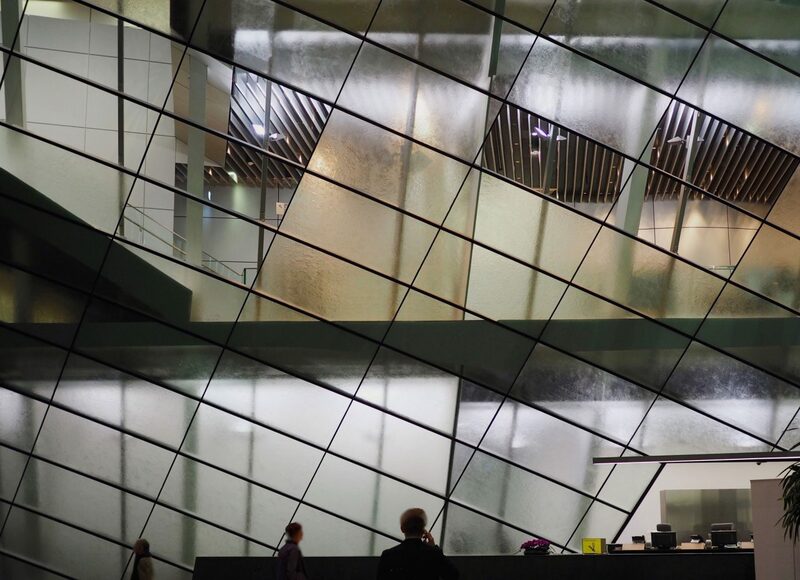 In order to limit the amount of energy absorbed by the glass, it is covered with film. The “Loop” also connects the high-rise to the Großmarkthalle. 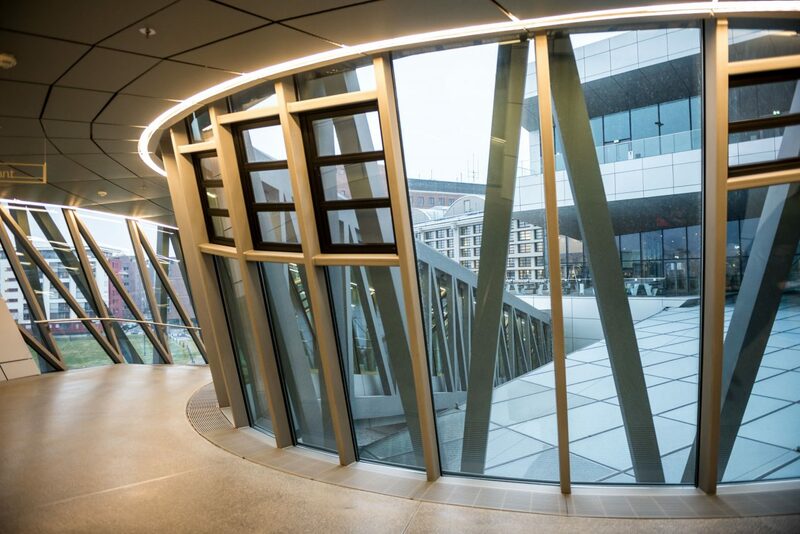 It leads down one level from the first interchange platform in the office tower into the restaurant and conference area in the Großmarkthalle. The Loop is a horseshoe-shaped steel structure on concrete columns which appears to float above the connecting building, with an external steel framework and an internal glazed steel post and beam construction. The conference rooms and the staff restaurant follow the “house-in-house” concept of the architects and are inside the Großmarkthalle. 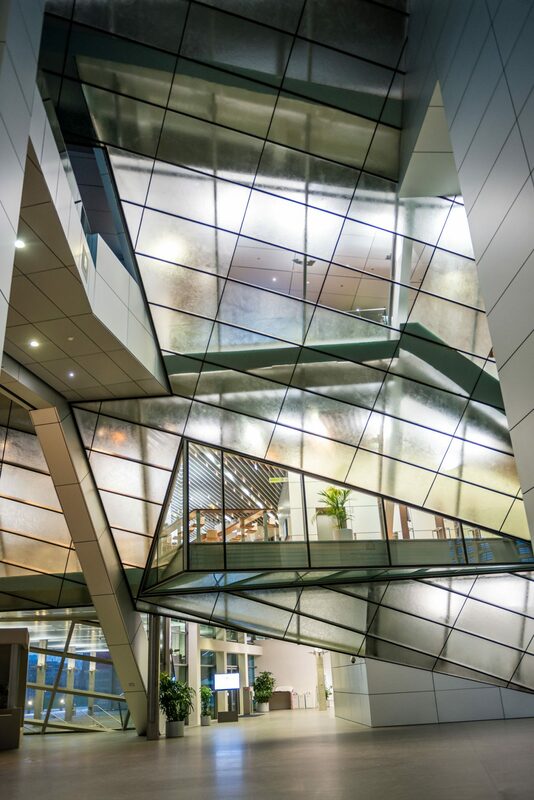 A steel primary structure extending over two stories forms the basis for the facades of the conference rooms, which consist of steel posts and beams with glass elements over a large area. 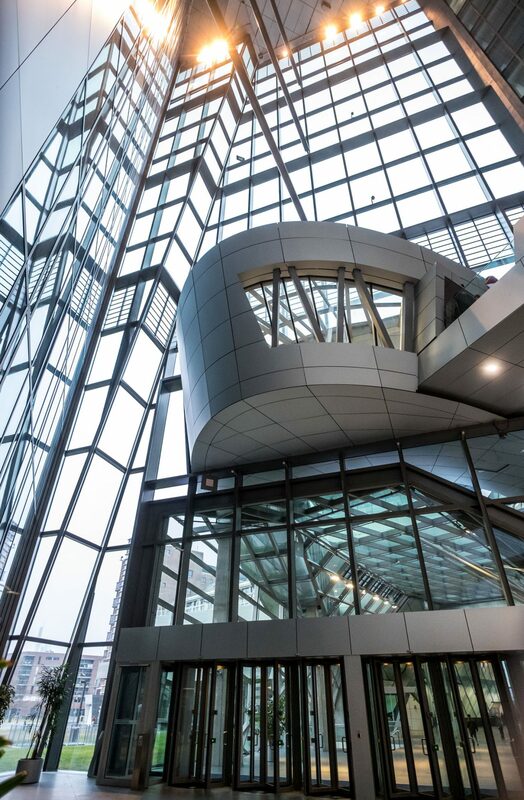 The facades are vertical, as well as tilted inward and outward with glass fields of varying width. The main facades of the staff restaurant consist of steel posts and beams with glass elements over a large area. The outer facades of the staff restaurant are fitted with perforated aluminum sheets which, depending on the position of the sun, provide shade over the glass surfaces. The existing brick facades of the Großmarkthalle were replaced with a steel facade with insulating glazing mounted on the outside. The glazing has a heat-protective coating on the north side and a sun and heat protection coating on the south side.